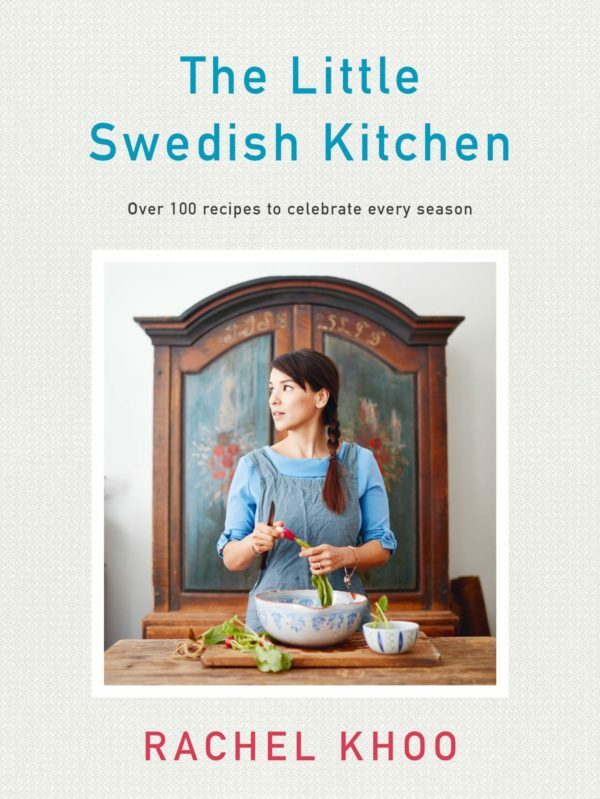 Rachel Khoo's latest book is full of intriguing Swedish treasures. Pyttipanna (which translates as ‘small bits in a pan’) feels like the Swedish answer to nasi goreng (the South East Asian dish of fried rice with a fried egg on top). Typically comprising onions, potatoes, minced meat, beetroot and a fried egg, pyttipanna is a dish that is quickly put together with whatever you might have foraged from the kitchen. There are no rules in my book when it comes to making this dish, so feel free to get creative with leftovers. I always seem to have rashers of smoky bacon in the fridge (in case of a bacon sarnie emergency), and lentils are always in the larder. Just don’t forget the obligatory fried egg on top! 1 Put the lentils, raisins and stock into a pot and bring to a simmer uncovered. Cook according to packet instructions until the lentils are al dente. Drain, reserving the leftover stock. 2 Trim the spring onions, remove the green parts and set these aside for later. Finely chop the white parts and put into a frying pan (skillet) with the bacon. Gently fry for 5–10 minutes until the onions are soft. In the meantime, peel the parsnips, carrots and beetroot and chop into 0.5cm (¼”) cubes. Add these to the spring onions and season with the white pepper. Turn up the heat slightly and continue to fry for another 10 minutes. 3 Add the cooked lentils and raisins to the frying pan with a couple of tablespoons of cooking stock. Stir together and taste for seasoning, adding salt if necessary, then take off the heat and cover. 4 Finely chop the green parts of the spring onions and toss with the pickled mustard seeds and pickling liquid. 5 In a non-stick pan (skillet) on a low heat, fry the eggs in the butter, until the white is set and the yolk still runny. 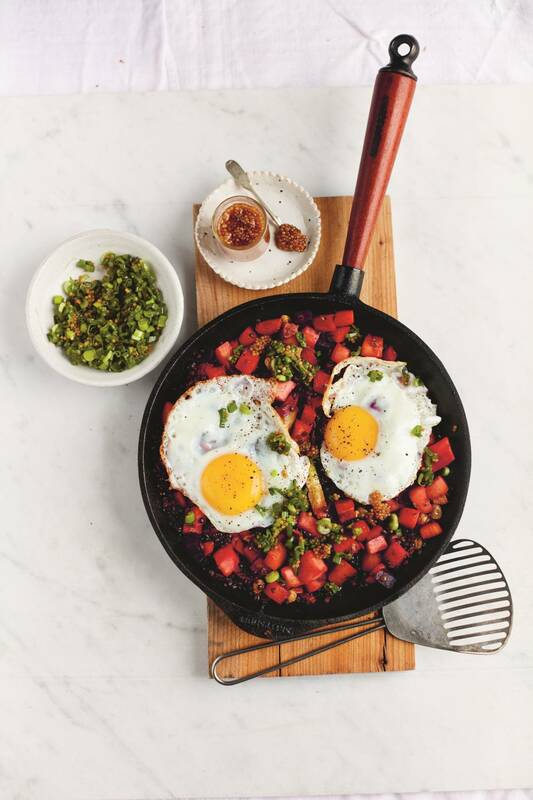 6 To serve, divide the lentil mixture between your plates or bowls, and top with a fried egg and the spring onions and mustard seeds. Beluga or puy lentils are my go-to lentils for this dish, as they hold their shape the best. Leftover rice also works. These are delicious with meat, in salad dressings or smeared on to a bubbling melted cheese sandwich. They longer they sit in the pickle, the more liquid they absorb, making these little beads pop in your mouth. Put the vinegar and 250ml (8½ fl oz) of water into a small pan with the sugar and salt. Cook gently for 5 minutes, then add the mustard seeds and simmer for a further 40 minutes to plump up the seeds and remove any bitterness. Add a little extra water if it dries out. Decant into a sterilised jar and set aside to cool. The seeds will keep in the fridge for about 3 months. A busy little week getting this lot sorted!